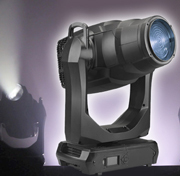 Capitalizing on the original Atomic™ 3000 DMX’s 15 years of success, this new version features identical functionality and behaviour with the added benefits of LED technology. It offers the same extreme brightness as its iconic predecessor, but with substantially lower peak power consumption. 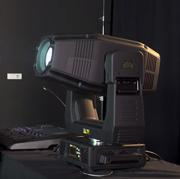 The Atomic 3000 LED is not only a strobe, but also a creative tool that incorporates backlight illumination with RGB-controlled LEDs pointing into the reflector. 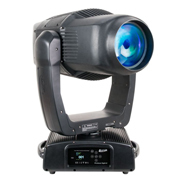 It delivers stunning eye candy looks similar to the MAC Aura™ and the MAC Quantum™ Wash. Internal FX macros and simplified re-use of the original color scroller complete the full-feature package and empower the Atomic 3000 LED to become the ultimate creative lighting tool. 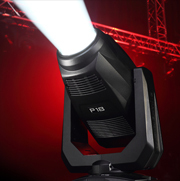 “ The original Atomic has been the unquestionable benchmark for strobe lights ever since launching back in 2000, ” said Markus Klüsener, Product Manager for Stage Lighting, Martin Professional. “ Our highly skilled R&D team has managed to put together a product that perfectly capitalizes on the latest technology while staying true to the strong legacy of the original Atomic. 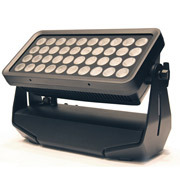 The Atomic™ 3000 LED is expected to ship late November. Thanks to RGB LED, pointing into the reflector, we get a effect similar to the Aura.